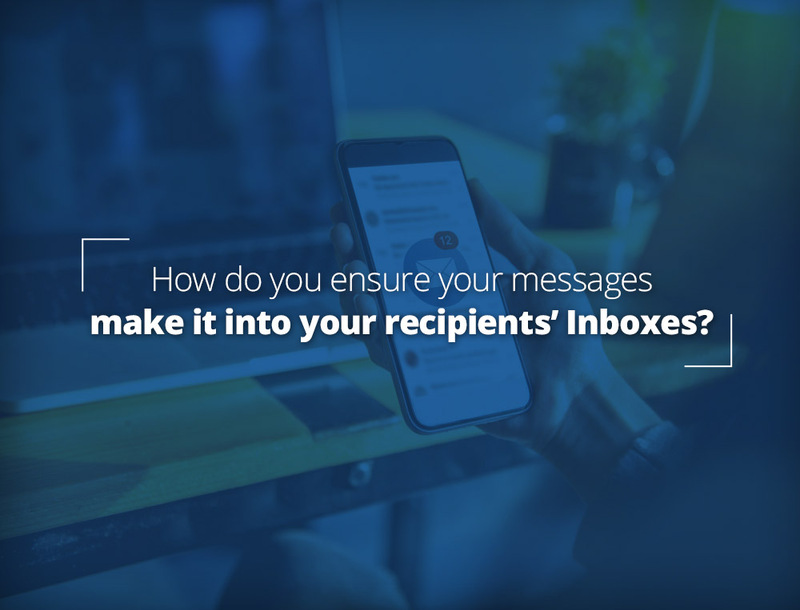 How do you ensure your messages make it into your recipients’ INBOXes? Deliverability is key to anyone sending newsletters, announcements, notifications, or any other type of bulk email. As a provider of premium and bulk email services, we constantly advise customers on how they can legitimately avoid having messages marked as spam and ensure that they are not black listed. In this article, we consolidate our advice for everyone’s benefit. This includes: ensuring you have a good mailing list, maintaining your mailing list, email message content, and reputation management techniques like SPF, DKIM, and IP anonymization. The number one mistake that we see is people wanting to use a poor quality mailing list. LuxSci, like other legitimate bulk mail providers, requires that your mailing list contain only recipients who have explicitly opted to receive email from you and that you abide by the CAN-SPAM Act. Doing anything else is likely to get you blacklisted and to have your account terminated for violations of your provider’s terms of service. What does “explicitly opted to receive email from you” really mean? The recipient actively and knowingly chose to become a member of your mailing list. Actively checking a check box in a form on your site (a subscription form or an option when they are placing an order). NOTE: these check boxes should not be pre-checked unless they person must also confirm the subscription in some other way. Becoming a customer or business associate of yours, where they have an expectation of getting mailings from you. You should always provide them an opportunity to not receive your mailings. In every case, you should keep a clear record of how the person’s address was opted into your list (in case they complain later). If they complain and you have no idea how they were added … then how can you prove that it was an actual “opt-in”? Purchased from a third party. Why? Even if the people on this list opted in to it — they certainly did not intend to opt in to mailings from whoever might buy it! Purchased lists are a “big no no” in the industry. Copied from a membership directory where you are just another member. E.g. it may be OK for a Chamber of Commerce to send a bulk mail to its members, but it is NOT OK for one member to send bulk email to the other members. Found to be “Spam Trap” addresses — e.g. addresses that were created and added (as bait) to a web page or other location and never used for anything else. Any messages actually sent to them must be non-opt in by definition and the address was added to the list in a “poor” way. Contain many addresses that are invalid and which always bounce. Each separate email in violation of the CAN-SPAM Act is subject to penalties of up to $16,000! The Canadian Anti-Spam laws are also very, very strict. Removing failing and invalid addresses. Many bulk email providers provide you with an easy way to get reports of what addresses are failing and why. Use these reports to prune your lists. (LuxSci offers this feature). When a recipient uses your opt out mechanism to remove him/herself from your list, you must ensure that that address never gets any more email from you and that that removal is effective very quickly. This is required by the CAN SPAM act and by proper net behavior. Additionally, if you continue to send to people who have requested opt outs, these people are likely to complain to their ISPs and to other organizations and you are likely to get black listed. A large number of recipients will not use your “opt out” instructions to remove themselves from your list. Why? Because either (a) they are lazy, or (b) they assume that use of these instructions will confirm their email address and actually result in your sending them more “unwanted email”. Instead, they use their email provider’s “mark as spam” feature to delete your message and hope that their spam filters block future messages from you. If you can determine what recipients have done this and proactively remove their addresses from your mailing lists (as if they had oped out), your mailings will stop going to recipients who you know do not want them and will annoy fewer people — greatly lessening the chance of recipients complaining about the receipt of unwanted email and thus the chance of being blacklisted. Note that recipients will mark messages as spam and complain about them if they do not want them … no matter if they are properly opted in or not. That is the nature of the way people currently interact with email. Your goal is to ensure that your messages make it to those who want them and also that they DO NOT get to those who do not want them. Not only does this make your mailings faster and more efficient, it also helps eliminate complaints and improves your mailing reputation. LuxSci has feedback agreements with many major ISPs. We automatically collect all reports of messages recipients at these ISPs (e.g. AOL, Hotmail, MSN, Rackspace, Comcast, etc.) have marked as Spam and provide these reports to you so that you can proactively remove them from your lists. We also use this information to detect senders that generate excessive numbers of complaints…. 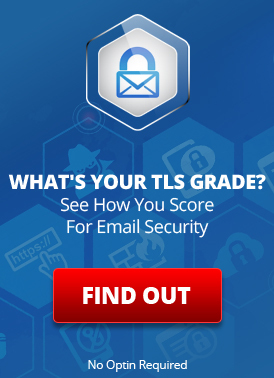 Validate which addresses are good through some means other than sending them an email. E.g. by cross referencing with current customer lists or other means, if appropriate. So, now that you have a good mailing list and are ready to maintain it and begin sending bulk email messages, you must consider the content of the messages to be sent. We very often find email messages that are blocked or denied due only to their content and not due to any kind of blacklisting. Try to avoid using links to third party web site pages in your messages which may have a poor reputation. Messages are often denied based on the web site address links. Beyond your email message content and mailing list quality, there are several additional factors that play into the deliverability of your email. Your email server’s IP address reputation. If you are sending through your ISP’s mail server and your ISP is lax about sending spam. Using a mass mailing provider that is very strict about terms of service and about shutting down customers who are not abiding by proper bulk mailing practices. Obtain a dedicated IP address for your sending (e.g. through a dedicated server). Note that getting “many different IP addresses to rotate through” is not a solution — that is merely a mechanism Spammers use to spread out their bad behavior across many IPs so that the effect of inevitable blacklisting is somewhat minimized. In the past people had used this technique to try to improve deliverability. 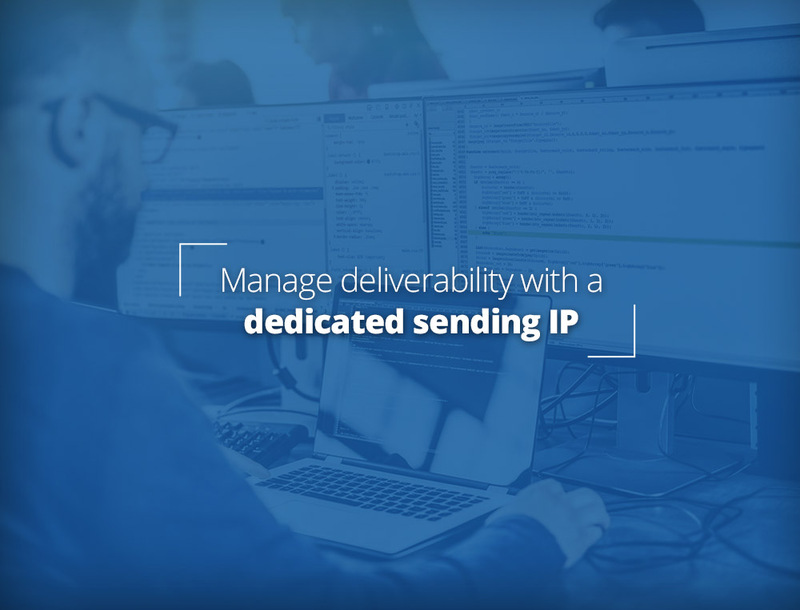 Now-a-days, especially with the extreme shortage of IP (v4) addresses in the world, no legitimate mail provider will be able to provide blocks of IP v4 addresses to a single customer for the purpose of bulk mailing, under any conditions…. its just not permitted by ICANN. The best you can do is to have one dedicated IP address per dedicated server that you utilize. SPF. Adding “Sender Policy Framework” DNS records is useful as they allow recipients to verify that the messages you are sending are coming from a server approved to send email for your domain. Hence, the messages you are sending are not fraudulent and perhaps are a little less likely to be Spam. DKIM. DomainKeys Identified Mail, like SPF, helps differentiate legitimate email from fraudulent email and can also help with deliverability to certain providers who validate DKIM signatures. LuxSci’s High Volume Outbound SMTP supports both DKIM and SPF. Reverse DNS. The IP address the your mail server uses to send outbound email needs to have a “Reverse DNS”. E.g. if you ask “what server belongs to this IP” … there must be an answer and that answer should match the domain name that that server uses to identify itself. This is the responsibility of your bulk mailing provider (LuxSci takes care of this automatically) — but if it is setup incorrectly or missing, you will have significant deliverability issues. Ramping up sending. If you want to send a LOT of email messages (hundreds of thousands or millions at once), it is best to start be sending smaller blasts to subsets of your recipients. Gradually, over a few weeks, build up to your full mailing size. Especially if you have a “new clean IP”, recipient mail servers may see a sudden large jump in mail from your IP or mail from your domain as a red flag indicating sudden spamming. By actively ramping up, you effectively “warm” your IP address and get the recipient systems used to seeing email from your organization and for it not be not classified as spam by end users. So, when you start sending to the complete list, the messages will be more readily accepted. Many potential customers ask if we can “Guarantee” delivery of their messages to the INBOX of recipients at major ISPs like Gmail, Yahoo!, etc. This obviously would be desirable. Marketing language on some bulk mailing company’s web sites also seems to indicate that such agreements are possible and that only they can provide them. Gmail states: While Gmail works hard to deliver all legitimate mail to a user’s inbox, it’s possible that some legitimate messages may be marked as spam. Gmail does not accept ‘whitelisting’ requests from bulk senders, and we can’t guarantee that all of your messages will bypass our spam filters. Verizon’s “WhiteList Form” states that applicants “…agree to abide by Verizon Online’s policies and requirements regarding whitelist status and acknowledge that nothing herein guarantees delivery of mail originating from a whitelisted address or domain.” I.e. it is really an application to a feedback loop and not an actual “white list”. Using DKIM, SPF, and other techniques to bolster the reputation of your messages and to help recipients differentiate your legitimate mailings from forged ones. This entry was posted on Monday, January 15th, 2018 at 7:00 am	and is filed under Business Solutions, Email Marketing, LuxSci Library: The Technical Side of Email. You can skip to the end and leave a response. Pinging is currently not allowed.